Women"s orchestra. On February 19, 1932, the first women`s septet performing "Cuban son" was presented at the Payret Theater in Havana under the name of Anacaona inspired in the history of a Dominican native woman who became a symbol and encouragement to seven young women who, with their musical instruments gave a new female face to the Cuban traditional son. Around 1934, Concepción Castro Zalarriaga, together with her sisters, founded a jazz-band format group capable of performing as both a septet and a "typical charanga" orchestra since all its members played different instruments. In 1983, after concluding their studies at the Amadeo Roldan Conservatory in Havana, two youngsters, Georgia and Dorita (the Aguirre sisters) joined the group together with its founders until 1987 when the five Castro Zalarriaga sisters decided to retire. Georgia and Dorita Aguirre continued performing Cuban music with eminently female characteristics: preserving and praising the story of t he beautiful Anacaona. With over 50 year uninterrupted performance, they decided to incorporate new musicians graduated from schools of music and with their same professional preferences and interests. In February 1988, they grouped under the guidance of Georgia Aguirre and resumed their work with a renewed projection of the Cuban music, from traditional to modern, resorting to new arrangements and orchestration. The new Anacaona orchestra was introduced on May 28, 1988 enjoying an exceptional welcome by the audience. The young orchestra was assisted by important Cuban artists, namely, Xiomara Castro, its founder and former director, Rafael Lay, Jr., Aragon Orchestra director, Luis Carbonell and Joaquín Betancourt, inter alia, who made valuable contributions to the group. In mid 1988, they began working, on a permanent basis, at the Papa"s cabaret in the Marina Hemingway and made several radio and television programs, a tour across the country and performances in international fairs and meetings. In 1989 they made tours, events, radio and televisión and had an important international summer contract in México. Early in 1990 they made national tours and presentation in the mass media thus increasing their popularity as a women"s orchestra. Later on they traveled to Barcelona, first stop of a tour including Santander, Valencia, Madrid, Vigo and the Canary Islands. All these cities witnessed their success and the Spanish press wrote "...a special charisma to this female face of the Cuban music". During this tour across Spain they shared the stage with renowned artists like Cheo Feliciano, Papo Lucas and the Sonora Ponceña, Tito Puentes, the Gran Combo de Puerto Rico, Lalo Rodríguez, the Fania All Star and the Brazilian D´Javan. Their international tours include American, European and Caribbean countries. It is worthwhile mentioning their performances at the Jazz Festival in Jamaica, the Carnivals in the Canary Islands, concerts in Honduras, Guadeloupe, Martinique, Venezuela and Mexico. Anacaona has maintained a sound and upward musical career and has inspired many female Cuban orchestras. 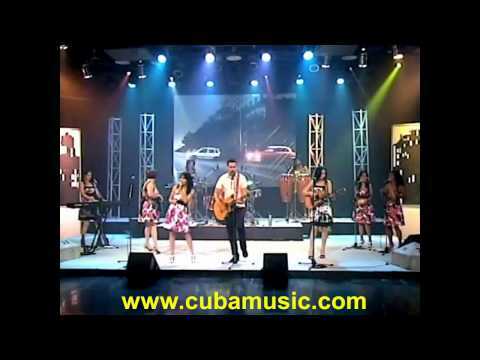 In Cuba this orchestra is considered the most popular female orchestra and one of the most important ones in Cuban popular music since Anacaona has a special way of giving the best of its members in each presentation. A Cuban orchestra where talent and music join hands with femininity to enhance the culture of the island.